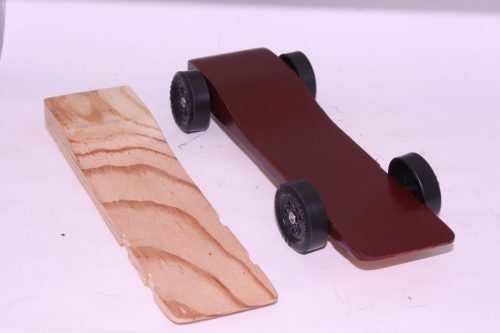 Super Slim Wedge is one of our benchmark light weight pinewood derby car body that utilizes pockets milled on the bottom of the car body for weight placement. This variation can use either a tungsten or lead ballasts. 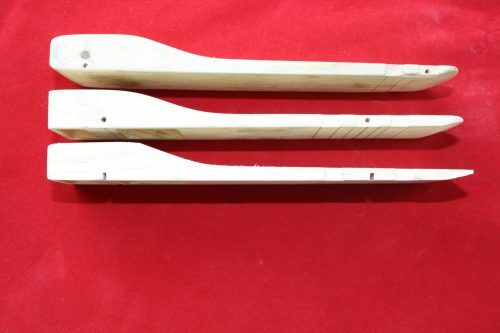 Coming in around 20 grams, wood is precisely removed to eliminate wheel rub, and overall wood weight. 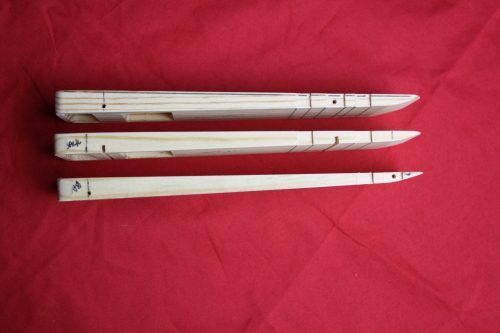 All wheelbase variations are available. 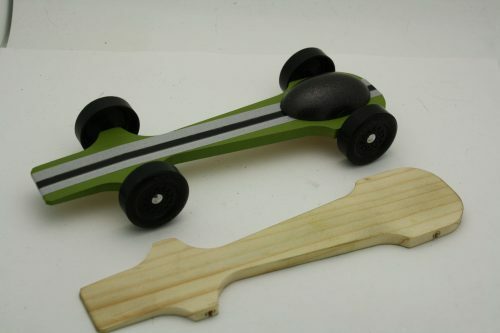 Super Slim Wedge a fast pinewood derby winner by Derby Dust®. This one is one of those overlooked designs that always blows away the competition. Simple basic design on the outside. Utilizing an official BSA block, we cnc cut this profile to get you in the winner’s circle. 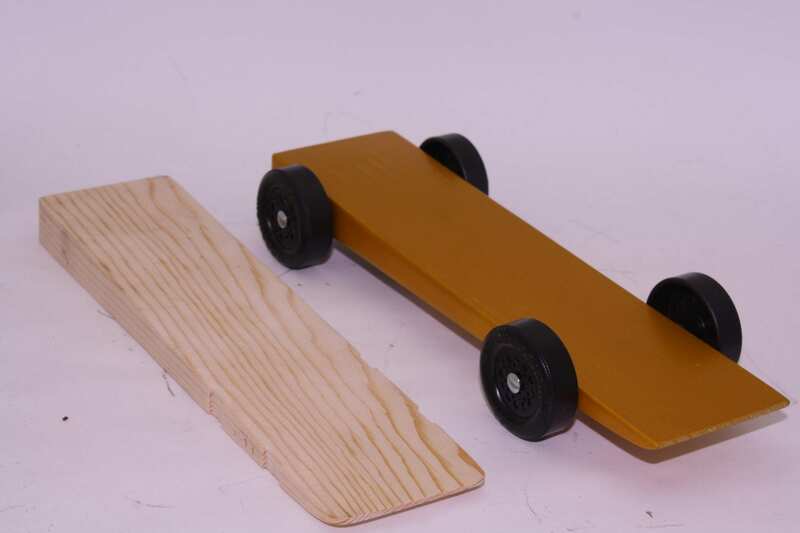 So our fast derby car kit includes a pre-cut car body, weighted, lathed wheels, cnc polished axles, and the ultimate dry graphite lube which comply to majority of all pack’s rules. Wheel and axle upgrades available for those that desire more speed and is allowed by their rules. Hi, I bought 2 car kits from you about a month ago. And I won 1st and 2nd place of the race tonight.